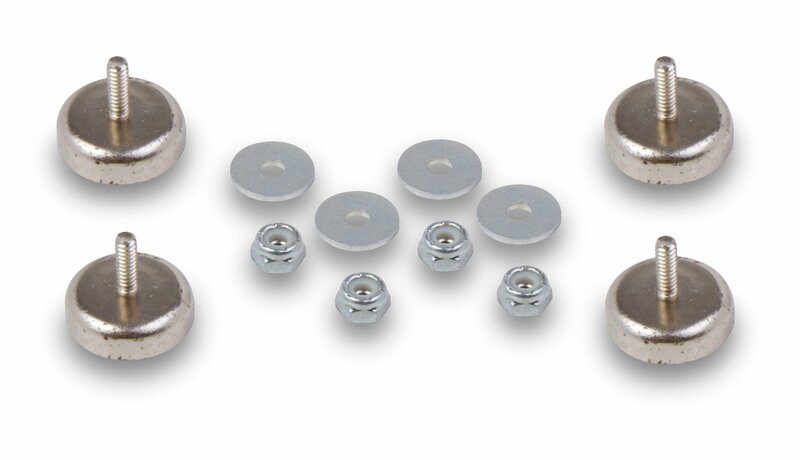 The HydraMat magnet kits are designed as a cost effective solution for mounting the Holley HydraMat in the fuel tank or cell. Ideal for use in fuel tanks with a small sender opening where the Click Bond kits cannot be used. Once installed, the magnets can be positioned so the HydraMat lays flat in the bottom of the fuel tank.